Elmer J. "Andy" Anderson, 87 of Monticello, died Sunday, November 17, 2013 at Monticello Nursing and Rehabilitation Center. Services will be held 10:30 Saturday morning, November 23, 2013 at The First Presbyterian Church in Monticello with Reverend Al Polito officiating. Friends and family may call at Goettsch Funeral Home, Monticello, Friday, November 22 from 3 until 7. Interment will be at Oakwood Cemetery, Monticello, with military honors. Survivors include his wife of sixty-three years, Mary Patricia, a daughter, Mary Elizabeth Lippert (Jay) of Minneapolis, a daughter-in-law, Kathi, five grandchildren, Nathan (Sophie), Michael, Chelsea, Sara and John, two great-grandchildren, Tallulah and Paloma and several nieces and nephews. He was preceded in death by his son, John Douglass Anderson in 1991, his parents, and his sister Maxine Rivey. Andy was born May 23, 1926 in Fairfield, Iowa, the son of Elmer and Ida Anderson. Andy graduated from high school in Fairfield. He served his country honorably in the US Navy during WWII. Andy was a coxswain on a naval landing craft. He landed troops on Leyte, Luzon and Iwo Jima. Andy received his Bachelor of Science degree from Parsons College in Fairfield, Iowa and Masters of Science degrees from Bradley University, Peoria, Illinois and University of Northern Iowa, Cedar Falls, Iowa. 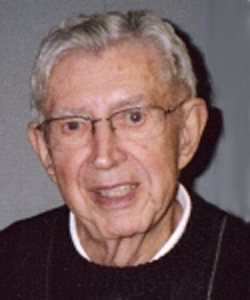 He was united in marriage to Mary Patricia Douglass on June 5, 1950 at the First Presbyterian Church in Fairfield, Iowa. Andy and Pat moved to Monticello in 1955 where Andy continued his teaching and coaching career at Monticello High School which lasted over thirty years. It was here that he also began his relationship with The Great Jones County Fair that lasted fifty-six years. Andy was a dedicated teacher, coach, and mentor to many students over the years and truly enjoyed his profession. He also enjoyed his involvement with The Great Jones County Fair serving in many capacities along with its General Manager and then Concession Manager for which he received a Lifetime Achievement Award in 2012. Andy's greatest joys were the life he shared with his wife Pat, his children, grandchildren, great grandchildren, and dear friends.